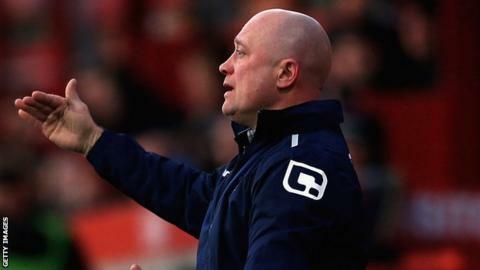 Alfreton Town boss Nicky Law says his reconstructed side are prepared for this weekend's National League North opener against Bradford Park Avenue. The 53-year-old has had to rebuild his squad following their relegation from the National League on goal difference. However, Law told the club's website that the signs are positive about his new-look squad following pre-season. "What shone through is the fact we have a good young, fit, enthusiastic squad," he said. "We may need to add a little bit of experience but we think we can mould the players we have into a good squad." But Law is also aware that the season opener in Bradford will not be easy. "It will be a good game - a tough game, especially as we are away," he said. "We know their strengths and weaknesses and we will work on that and see what we can get out of it on Saturday." "Many a favourite has been beaten before and we have always been at our best when we have been underdogs," he said. "I think we are possibly underdogs again and will take it as it comes."